Like any other medicinal plant, cannabis has intrinsic properties that allow it to produce both beneficial effects and undesired side effects. The negative physical side effects of cannabis include an increase in oxygen consumption by the heart tissues and, as we shall see in this article, the capacity to accelerate the progression of fibrosis in individuals suffering chronic Hepatitis C, if cannabis is consumed regularly and not just on a sporadic basis. 2012 - Study ~ The endocannabinoid 2-arachidonoylglicerol decreases calcium induced cytochrome c release from liver mitochondria. 2011 - Study ~ Endocannabinoids in liver disease. 2011 - Study ~ Cannabidiol causes activated hepatic stellate cell death through a mechanism of endoplasmic reticulum stress-induced apoptosis. 2011 - Study ~ Cannabidiol, a Major Phytocannabinoid, as a Potent Atypical Inhibitor for Cytochrome P450 2D6. 2011 - Study ~ Therapeutic potential of cannabidiol against ischemia/reperfusion liver injury in rats. 2011 - Study ~ Identification of cytochrome P450 enzymes responsible for metabolism of cannabidiol by human liver microsomes. 2011 - Study ~ Cannabidiol improves brain and liver function in a fulminant hepatic failure-induced model of hepatic encephalopathy in mice. 2011 - Study ~ Cannabidiol protects against hepatic ischemia/reperfusion injury by attenuating inflammatory signaling and response, oxidative/nitrative stress, and cell death. 2011 - Study ~ Δ(8) -Tetrahydrocannabivarin protects against hepatic ischemia/reperfusion injury by attenuating oxidative stress and inflammatory response involving CB(2) receptors. 2011 - Study ~ Hyperactivation of anandamide synthesis and regulation of cell-cycle progression via cannabinoid type 1 (CB1) receptors in the regenerating liver. 2011 - Study ~ A new cannabinoid 2 receptor agonist HU-910 attenuates oxidative stress, inflammation, and cell death associated with hepatic ischemia/reperfusion injury. 2011 - Study ~ Beneficial paracrine effects of cannabinoid receptor 2 on liver injury and regeneration. 2010 - Study ~ Recent advances in the understanding of the role of the endocannabinoid system in liver diseases. 2009 - Study ~ Beneficial effects of a Cannabis sativa extract treatment on diabetes-induced neuropathy and oxidative stress. 2009 - Study ~ Cannabidiol ameliorates cognitive and motor impairments in mice with bile duct ligation. 2008 - Study ~ CB2 receptors as new therapeutic targets for liver diseases. 2008 - Study ~ Cannabinoids and capsaicin improve liver function following thioacetamide-induced acute injury in mice. 2008 - Study ~ Endocannabinoids in liver disease and hepatic encephalopathy. 2007 - Study ~ Cannabinoid receptors as new targets of antifibrosing strategies during chronic liver diseases. 2005 - Study ~ Antifibrogenic role of the cannabinoid receptor CB2 in the liver. 2003 - Study ~ The cannabinoid agonist WIN 55, 212-2 increases nociception threshold in cholestatic rats: implications for the treatment of the pruritus of cholestasis. 2002 - Study ~ Preliminary observation with dronabinol in patients with intractable pruritus secondary to cholestatic liver disease. Journal of Hepatol 2009 Sep; 51(3):528-34. BACKGROUND/AIMS: The endocannabinoid system in mice plays a role in models of human cirrhosis and hepatic encephalopathy (HE), induced by a hepatotoxin. 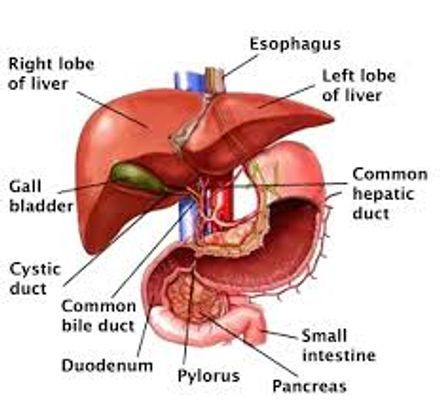 We report now the therapeutic effects of cannabidiol (CBD), a non-psychoactive constituent of Cannabis sativa, on HE caused by bile duct ligation (BDL), a model of chronic liver disease. METHODS: CBD (5mg/kg; i.p.) was administered over 4weeks to mice that had undergone BDL. RESULTS: Cognitive function in the eight arm maze and the T-maze tests, as well as locomotor function in the open field test were impaired by the ligation and were improved by CBD. BDL raised hippocampal expression of the TNF-alpha-receptor 1 gene, which was reduced by CBD. However, BDL reduced expression of the brain-derived neurotrophic factor (BDNF) gene, which was increased by CBD. The effects of CBD on cognition, locomotion and on TNF-alpha receptor 1 expression were blocked by ZM241385, an A(2)A adenosine receptor antagonist. BDL lowers the expression of this receptor. CONCLUSIONS: The effects of BDL apparently result in part from down-regulation of A(2)A adenosine receptor. CBD reverses these effects through activation of this receptor, leading to compensation of the ligation effect. These findings highlighted the beneficial effects of cannabis extract treatment in attenuating diabetic neuropathic pain, possibly through a strong antioxidant activity and a specific action upon nerve growth factor. Copyright (c) 2009 John Wiley & Sons, Ltd.